Holzkirchen, Germany/Rambouillet, France: Current satellite communication systems use static beams, with little or no options of adjusting beam capacity to avarying demand. Beam hopping, based on the DVB-S2X broadcasting standard, allows redirecting capacity between beams, making satellite systems more flexible and efficient. Working with partners, WORK Microwave participated in a sucessfull first time demonstration of a beam hopping over-the-air test. Rising demand for worldwide mobile communications on land, in the air and at sea calls for satellite coverage tailored to individual needs. 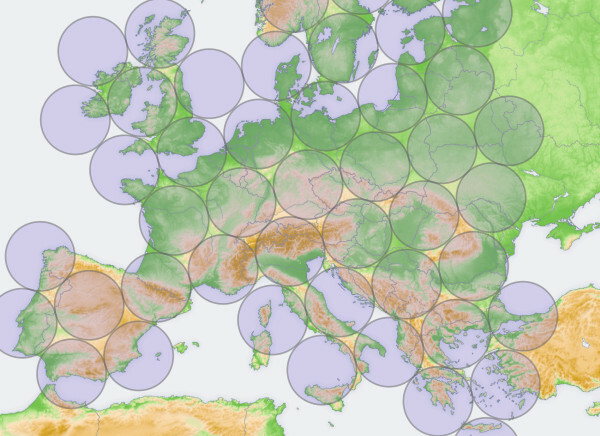 As part of the BEHOP – Beam Hopping Emulator for Satellite Systems project, initiated by the European Space Agency (ESA), WORK Microwave is collaborating with Fraunhofer IIS and Eutelsat to research technologies that will deliver more flexibility and higher performance in satellite communication. At present, most satellites operate spot beams at constant power and with a fixed allocation of capacity over a broad coverage region. Such a model is not up to the job of delivering efficient satellite communication in a situation where capacity requirements at a given time are not the same everywhere, as it wastes power that could be put to good use elsewhere. Beam hopping, however, transmits adjusted beams that enable great flexibility as to how capacity is distributed. Currently, no system in orbit supports beam hopping completely. In June 2018, WORK Microwave collaborated with Fraunhofer IIS to test beam hopping for the first time using a conventional Eutelsat satellite. To this end, WORK Microwave’s beam hopping enabled wideband modulator was connected along with the payload emulator developed at Fraunhofer IIS to the uplink transmission chain provided by Eutelsat at Rambouillet. In the downlink a corresponding demodulator from Fraunhofer IIS was used as receiver. The transmission technique is based on the DVB-S2X standard’s Annex E Super-Framing structure. The main beam hopping synchronisation algorithms, to synchronize the uplink modulator with the satellite, were developed by WORK Microwave and implemented within the Wideband Modulator of WORK Microwave. By way of this demonstration, the project partners proved that the beam hopping concept and technology are ready to be implemented for Eutelsat’s Quantum-class satellites, scheduled for launch in 2019. The demonstration validated that data arrives at the satellite in sync with the beam-hopping pattern and that the system is able to automatically adjust and update resource allocations whenever capacity requirements may change. This successful test paves the way for the next generation of satellite systems and demonstrates that the wideband modulator of WORK Micowave can play a prominent role in the uplink gateway design for such satellite systems.